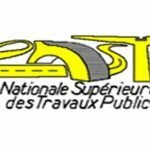 ENSTP Buea 2019-2020 Concours 1st year: NASPW Public works annex Buea. No 824 C/MINESUP / MINTP/ENSTP 18 June 2018.
a)- Basic Technician: Civil Engineering (70 places), Rural Engineering (40 places), Town Planning (40 places) and Land Surveying (50 places). BEPC, CAP, GCE (O Level) in 4 subjects excluding Religious Knowledge, City and Guilds of London Part I or any equivalent certificate. Date of Examination : 11th August 2018 at 7h 00.
b)- Ordinary Technician: Civil Engineering (80 places), Rural Engineering (50 places), Town Planning (50 places) and Land Surveying (60 places). (Engineering cycle (MEng) (BAC/GCE ALs + 5 years) in Civil Engineering Environmental Engineering, Land Surveying and Town Planning. 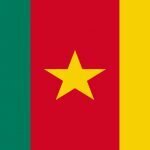 Date of Examination : 02 Septembre 2018. Closing Date : 17 Août 2018. Date du Concours : 09 Septembre 2018. Closing date: 24 Août 2018. Master degree specialised In Water, Sanitary and Waste Engineering. Bachelor degree in Science: or a Bachelor in Engineering degree. Closing date: 14 Septembre 2018.
pls is it possible for one to enroll without a science subject? Dear sir, please I wish to ask the date when the result of NASPW competitive entrance examination of 2016/2017. when is NASPW entrance results will release?